The blockchain technology has various use cases today, thanks to different developers who saw the potential in it and are working everyday so it becomes applicable in day-to-day activities. Each of the blockchains have their own consensus or protocols which dictate how they operate. Bitcoin was the first to show the world what blockchain technology could offer. This is as it proves that decentralization, anonymity, and a trustless service is needed to solve the current challenges that centralized financial services are facing. Some of these challenges are relating to speed, and security. Ever since then there have risen a lot of application which proves that Bitcoin’s vision was just the beginning. After Bitcoin, Ethereum came onboard to show the world that blockchain technology is not only relevant to financial services alone but is applicable in other areas of life. Through Ethereum came the implementation of smart contracts thus allowing other decentralized applications to be built on it. The Currency Analytics Token (TCAT) is one of the implementations on Ethereum’s vision which proves that real and authentic news on the blockchain is effective to the profitability of investors. The currency analytics is a news portal which provides real, authentic, and up to date news about important happenings on the general blockchain ecosystem. There are other blockchains like the Stellar which is known for its fast transaction speed and considerably low transaction costs. Transactions on the stellar blockchain only cost 0.00001XLM (1XLM is about 0.10$ at the time of writing). Through all of these, there are some underlying characteristics of each of these blockchains that is essential for the way they behave. These underlying characteristics are called consensus. Consensus is an implementation from blockchains that dictates the security, how new coins or tokens are created, and other characteristics. It is important to take note of these consensuses or protocols as a developer, investor or an enthusiast. A developer who is aspiring to develop blockchain based application needs to understand the protocols existing blockchain based projects are operating on, so they can select which one will be most suitable for their projects, else they will have to create their own. An investor needs this kind of knowledge to know what kind of project is most secure, faster, and has future prospect. The Currency Analytics is a tool that investors can use to track updates and news about a chosen project or protocol. This is so that they will not miss out on information that could lead them to make profitable decisions for their portfolio. There are some consensus or protocols that are implemented by blockchains which made them different from others. Projects that are built on each blockchain follow these protocols. The most popular consensuses are Proof of Work and Proof of Stake protocols. Other popular protocols are Delegated Proof of stake, Stellar Consensus Protocol, Proof of Authority, etc. Proof of work protocol is implemented by blockchains like Bitcoin, Litecoin, Ethereum, etc. to secure the networks from takeover. The proof of work consensus also determines how new tokens are created. In PoW protocol, miners compete to confirm new transactions or create new blocks by performing series of complex calculations to solve mathematical puzzle. Any of the miners or computers that gets the answer right at the shortest possible time is rewarded with coins. The answers (hash) to these complex calculations must be the same as that which is on the network server. Each block contains its hash, the hash to the previous block, and series of transactions that occur per time. Proof of Work has increasing complexity of mathematical puzzle to be solved because miners tend increase and the network also increases per time. 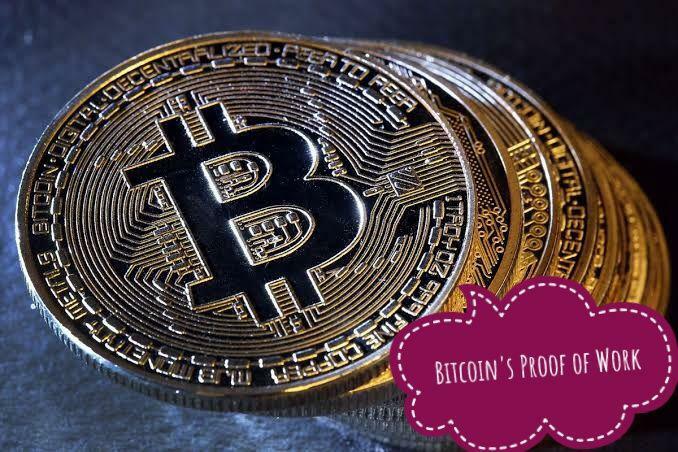 At first bitcoin could be mined by computer CPU but as time goes on, it became impossible, thus Application Specific Integrated Circuit (ASIC miners) were employed for the sole purpose of mining bitcoin and other related cryptocurrencies. One major disadvantage of this PoW protocol is that, it is not environment friendly. Miners require a lot of power to confirm transactions and produce new coins. The producers of the ASIC miners seem to control the network as they have the highest numbers of miners thus controlling the reward pool. It becomes rather hard for miners to solo mine as it will be difficult and time consuming to confirm transactions and solve block hashes. The Proof of Stake protocol creates new tokens/coins and confirm transactions by staking a specific amount of tokens in specialized wallets. Owners of the staked tokens earn dividends per time according to the number of coins/tokens they staked. New block rewards are distributed according to the number of coins that is staked. This overrules the need of power to confirm transactions and create new tokens. DASH, NEO, PIVX, etc. are some of projects or coins operating on the PoS protocol. 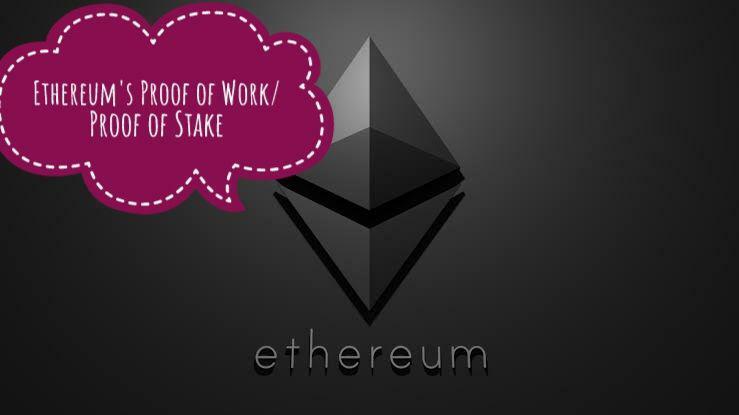 Ethereum is also updating its network through hard forks to switch from the Proof of Work to the Proof of Stake Consensus. Though the Ethereum’s Constantinople was delayed due to reentrance attack that was detected before it was launched, the developers are working hard to make sure the network overcome some of the challenges associated with Proof of Work protocol. For Ethereum, Proof of Stake means a faster transaction times, lower tansaction fee, eco-friendly coin, and more secure network. The major disadvantage of the PoS protocol is the 51% attack. This means that any one or group of persons who possesses more than 51% of the total coins on a network can easily determine what happens to the whole network. They can in essence change the destination of any coins sent by individuals on the network. The Ethereum Classic has earlier shown signs of 51% attack on the network and users are wary of what will happen to it. This is different from other protocols as it is a construction for federated Byzantine agreement (FBA) where each node chooses its own quorum slice (more details here). The SCP is the reason for the lightning speed of transaction delivery and low cost of transaction (0.00001XLM per transaction) on the Stellar Lumens blockchain. This is a modification of proof of stake. Network representatives are voted or chosen by all network users. These representatives are called witnesses/delegates. Witnesses are the ones who confirm transactions, create new blocks and make network decisions. An example of the implementation of this protocol is the STEEM blockchain. This protocol is implemented by VeChain. Vechain has an organizational structure which has many arms. This protocol is a modification of Proof of Stake and Delegated Proof of Stake. There 101 authority nodes that confirm transactions, create new blocks and make network decisions. Each Authority node is voted by all qualifying nodes in the network. Each qualifying nodes must hold an amount of coins to be able to vote or earn network rewards. Qualifying nodes can be voted as authority nodes if they hold certain amount of coins and are willing to make their identities publicly known through KYC. Knowledges about consensus algorithm or protocols are very important to blockchain technology users or enthusiast. It can give opportunities for them to know how to navigate their ways on the blockchain ecosystem and utilize it well to earn more. Knowledge of consensus algorithm alone won’t help you as a user, developer, investor or enthusiast. But up-to-date news from google verified news platform like The Currency Analytics will go a long way to help keep up with updates and press releases from your favorite projects. Connect with https://financialreport24.com for more exciting blockchain related contents and news.